All it will take is just a single moment of carelessness and your trip is ruin, wallet, passport or travel documents are gone. But now there is away for you to actually protect your belongings, with cool clothing like a pickpocket proof jacket. In this article we will show you some of the best pickpocket proof jackets for travel you can buy that will protect you from pickpockets whenever you travel. The United States-based company SCOTTeVEST Pack Jacket 13 is a traveling jacket with secreted pockets manufactured in 2000. The 21st-century advance technology created numerous devices such as cell phones, portable cameras, chargers, mp3 players and others but there were no secure means of carrying them. The need for smooth movement of these gadgets was alarming, but co-founders of SCOTTeVEST manufacturing company came up with an option called 13 POCKET JACKET. Who is this travel clothing with hidden pockets for? 1- For those who may need to stay connected to their devices round the clock, SCOTTeVEST manufacturing company has made gadget carriage easier. Make use of their original personal Area Network to route charging cables to those battery- hungry gadgets cautiously and channel the bulky backpack understanding that all needed gear is within your reach. 2- For those who love to spend more time in the great outback, swap your daypack with SCOTTeVEST to concentrate more on the adventure at hand. To avoid taking off and rearranging of stuff every time you need something, SCOTTeVEST keeps your cameras, water bottles, compasses, wallet, snacks, passport, map and other basic need at your fingertips. 3- At SCOTTeVEST, dogs play such a prominent role; this makes our clothing suitable for dog owners. Our garments are perfect for carrying treats, leashes, poop bags and other essential accessories for and your canine company. SCOTTeVEST 13 Pack Jacket has many features and usage; it is incredibly lightweight and allows air to flow through. It’s designed with lots of pockets and concealed compartments. Its unique 13 Pockets ensure gadget safety and enable gears arrangement in their numbers. It comprises of large internal Pockets for iPods, Android tablets, and other larger sized devices. The jacket has many inner pockets which make it very light; it also has internal chest pockets where you can keep and quickly access your essentials daily gadgets. It has several inner open pockets to keep the jacket as light as possible; it also has two external chest pockets for easy and quick access to gadgets and other essentials. To keep your keys safely, it has an extendable key holder in one of the external pocket likewise a hook and loop closures on two internal pockets for maximum safety. Are you worried traveling round with heavy gadget? The 13 pocket jacket is designed in a dynamic way that all load weight is distributed across the whole jacket, therefore, protecting back and neck pains. With 13 pockets jacket, all needed gadget to make a trip and work comfortably can be kept safe in these well-designed pockets without you appearing bulky or sensing any overweighted. Most of the garment’s design for traveling are often unsatisfactory, unattractive, bored and not well purposely designed. 13 pockets jacket is well designed with lightweight poly materials that enable free breath. It dries quickly due to Teflon treatment material used for water and stain resistance. You can travel with this jacket with all form of outfits because it is fashionably designed to match all dresses. SCOTTeVEST 13 Pack Jack is designed in 3 cool colors: Red, Sky, and Graphite. SCOTTeVEST 13 Pack Jack is highly recommended for an alternative means of safeguarding gadget against pickpocketing. As technology advance each day so also the need for these gadget increases, having no reliable place to keep devices, wallet, and purse, even your travel document safe might make you a victim of pickpocket whenever you travel. SCOTTeVEST is best known for designing clothing that’s making life comfortable and safer. OTG is the latest clothing development, the internal and external pockets of this jacket were well perfected, and there is now a new layer that serves a special purpose. SCOTTeVEST Company has manufactured a 3rd layer pocket inside this jacket underlay majorly to grip vital daily essentials that make work easy and fast. The whole layers can be loaded and still feel comfortable. 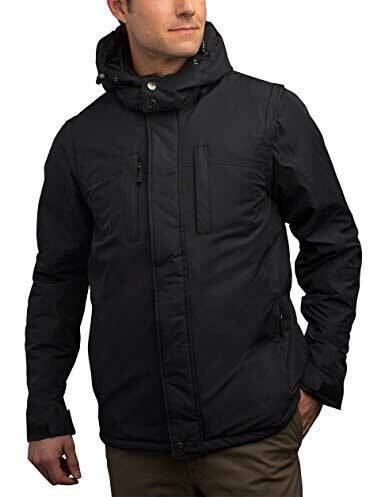 13 pockets jacket is professionally designed for cold weather, 100% Nylon Ripstop quilted exterior that is washable in machines, Nano treated to resist stains and water. Fashionably designed in different colors and used by both men and women. Who is this anti-pickpocket jacket for? 1- As a passionate traveler, with SCOTTeVEST 13 Pack Jack, you can carry all with you on the train or aircraft to avoid unnecessary spending and to avoid delay waiting for luggage and others. When you have your entire needed gadget on this jacket, you can easily concentrate on other important things while on a business trip. 2- If you want to appreciate the time spent in great outdoors, change your daypack with SCOTTeVEST 13 pocket jacket. It will take care of your worries as regards your devices and you will focus more on the adventure rather than picking and rearranging of your stuff repeatedly, SCOTTeVEST keeps your cameras, water bottles, compasses, wallet, snacks, passport, map and other basic need at your fingertips. The OTF (Off The Grid) SCOTTeVEST Jacket is designed in a way that merges fashion and function for men. Acquiring one 13 pocket jacket will be your newest wardrobe clip for various business trips and other adventure traveling. It has two Rapid access panels sizeable enough to hold a full sized laptop computer. The jacket has inner pockets where other devices can be kept to balance the jacket weight and make it as light as possible likewise two outer chest pockets where you can access constantly used devices. SCOTTeVEST has taken a step ahead to make sure that the Jacket is secure by adding Radio-Frequency Identification (RFID) technology, a device built with the jacket to block 13.56MHZ frequencies which keep your credit cards, passports and other personal information secure from high-tech hackers. Are you worried traveling round with heavy gadget? The Jacket is here to accommodate all your essential traveling devices and balance the weight around the jacket to prevent neck and back pain. You can travel all day with your cameras, laptops, extra lens and other tools comfortable with 13 pockets jacket without looking bulky or feel overweighed. Features a super weight rip off that keeps you warm in the freezing weather with its fabric purposely made to be wrinkle-free and look huge no matter how you store it. 100 percent Nylon Ripstop quilted outside is washable in a machine, and Nano treated for water and blemish resistant. With the whole essentials needed for traveling, the fashionable OTG Jacket is your new go-to Jacket for a comfortable and safe travel experience. The men’s OTG Jacket- 29 Pockets- Pickpocket proof is accessible in two different colors, Black and Blue. Amazon customers review gave the SCOTTeVEST 29 pocket jacket a 4.5-star rating of 5 .star maximum rating. SCOTTeVEST is flexible, fashionably designed to meet the modern day standard, our Revolution plus has 26 pockets to protect, housing and hold important items to ease your daily activities. Our esteem buyers recommend the Revolution plus jacket for cool climate because it’s well insulated and quilted lining which makes it suitable for traveling and other outdoor adventures. The Revolution Plus will give you everything you need to survive diverse weather conditions – it has a detachable and adjustable hood that can be zipped and stored in any of the pockets or rolled and stored in the collar. Its magnetic wind-flap and water-resistant fabric will protect you on windy and snowy days. It has detachable sleeves, which means it can be worn either as a jacket or vest depending on the weather condition. 1- If you have young children, then you understand how it feels when your kids look up to you, believing you can solve anything. With SCOTTeVEST, you can cement your superhero status and teach them the importance of being organized and prepared by procuring the things they need like diapers, toys, snacks, wet-naps, etc. while managing to make room for the things you need like your keys, wallet, phone, etc. 2- If you’re someone that travels a lot, you’ll probably prefer to carry your entire luggage on the plane with you to avoid having to pay and wait for checked baggage. If you can carry your personal belongings and electronics on you, then your clothes and other necessities can be in your carry-on. 3- SCOTTeVEST is perfect for professionals who are always on the move. Instead of using a computer bag or briefcase for crosstown jaunts, they can use SCOTTeVEST. With this jacket, you’ll get to your meeting with all your devices and documents organized and secured on your person. The Revolution Plus with its 26 pockets is perfect for winter and for holding everything you need to survive the cold weather. It comes with an oversized and padded interior pocket that is designed to comfortably and securely hold an iPad, Surface Pro, Android tablets and other similar items. You can comfortably store all your essentials, like gadget, cell phones, keys, sunglasses, notebooks, etc. because it has enough space to hold all these items. SCOTTeVEST has an in-built weight management system that balances the weight across the garment in other to prevent back and neck pain. With these, there’s no need to worry about how to carry your essentials when you go to places like airports or metro transit areas. It comes equipped with 26 pockets which makes it easier to carry gadgets and other items in an organized manner. Its soft and quilted insulated lining makes it perfect for cold weather. If there’s one thing that I love about this product, it is the fact that you can roll the hood and hide it in the collar or even remove it completely if you want. It has a wind flap and a water resistant fabric that covers the front zip in cold weather. You can get rid of the sleeve and turn it into a vest in warm weather. The Ayegear H13 Hoodie comes with 13 pockets and is probably the most practical design of hooded fleece jacket for people traveling as tourists. I’ve read a lot of reviews about this product on amazon and most of the people who have used the jacket, loved it. One of the few complaints I noticed about the product was that the red jacket looks more like pink, so you should probably put this at the back of your mind, but I personally think the Ayegear H13 Hoodie is an excellent product. Aye Gear is a reliable Scottish company and the “Aye” actually means “yes” in English. Whether you’re an ardent traveller who’ll rather carry everything on the plane to avoid extra cost, or you’re a busy professional who’s always on the go, or you’re someone who loves to spend time outdoors, the Ayegear H13 Hoodie is exactly what you need. This hoodie can be worn for exercise, as casual wear, for leisure, hiking, camping, travelling, concerts, festivals, etc. The H13 is essentially a wearable suitcase that you can use in place of your heavy suitcase to carry all your essentials in one small travel jacket. 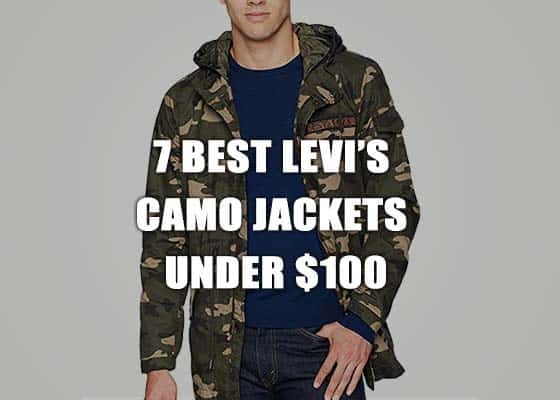 As at when this article was written, the jacket cost about $110 on Amazon. This Hoodie Fleece Jacket with 13 Discreet Pockets has a unique design that makes it stand out! Apart from the fact that it looks great, it is also very comfortable and is perfect for retaining a little warmth in cold weather. It is also a good way to carry your gadgets when you’re on the go. It has a touch sensitive pocket that is perfect for carrying different brands of smartphone – with this; you can even use your smartphone while it’s in the pocket of the jacket. The pocket has a clear film that makes it possible for you to view the screen of your smartphone and type or swipe while it’s in your pocket, which is what makes it so perfect for people who are always on the move especially when it’s snowing or raining heavily. It comes with a full zip design including some quality cotton to provide maximum functionality and comfort for the wearer – as well as versatility for everyday activities. Its interior pockets are large enough so devices like iPad or Macbook or tablets will always be safe. The pocket does not sag or leave a bulge when used, which is perfect for people who want to be discreet about certain devices. It is also compatible with all the major tablet brands. Connectivity, Accessibility, Mobility and Security (CAMS) – this jacket is pickpocket/theft proof and will keep your devices secure and safe at all times. The jacket comes in grey, black, red, maroon, and blue and is available for both male and female. In addition, the fabric is machine washable. The AyeGear H13 can be described as a hardwearing hoodie that is perfect for different weather conditions, particularly cold climates. The AyeGear H13 Hoodie with its perfect blend of comfort and style is definitely one of a kind.